We always try to get in a nice Southwest collection for the summer tourist season. This one is so beautiful and vibrant that we have a feeling it won't be on the shelves for long. 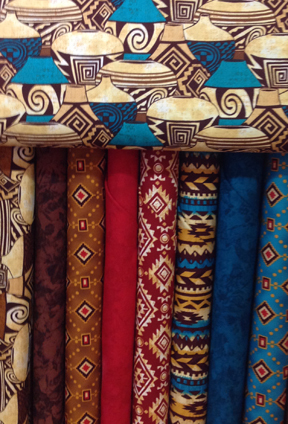 Come in to see the great colors and designs firsthand. 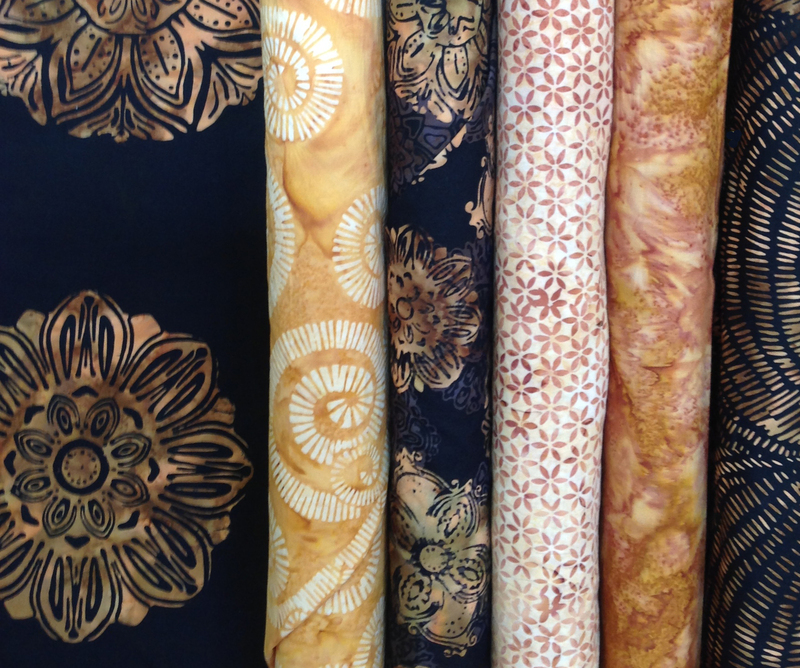 We received another large shipment of batiks last week including this unique collection. The large gold medallions on the black background would look striking fussy-cut and placed in a quilt or tablerunner. We also have the medallion focus fabric in blue. Join pattern writing contest winner Melanie Rime on Saturday, April 25 when she’ll teach Mike’s Braided Star. This table runner looks beautiful in the patriotic colors Melanie chose for the sample and would also be great in spring colors, batiks, or just about anything you can imagine. A very versatile pattern! Sign up today. Bring your machine if you want to stay and get started the project, or just come for the instructional presentation and show and tell. Please register by noon on Monday, April 27 by calling Cortez Quilt Company at 970-565-7541 or sending an email to Cindy. Remember, you don’t need to own a BERNINA to join us! How does wrapping up your busy week with a Friday evening sewing with friends sound? Call 970-565-7541 today to register for Quilt ‘Til You Wilt on Friday, April 24. Bring a project and dinner (or order out from one of the many nice restaurants on Main Street) and settle in for an evening of fun and creativity. Beverages are provided. This event is free but limited to 12 people so don’t delay in signing up. Please join us for this free, every-other-month event. Bring a project you’re working on or start something new and sew the afternoon away. Light snacks provided. Sewing Sunday is free and limited to 12 people so call 970-565-7541 to sign up today. The clock is ticking . . . there are only five more full weeks to finish your UFOs. The deadline for bringing in finished projects is Tuesday, May 26 at 4 p.m. 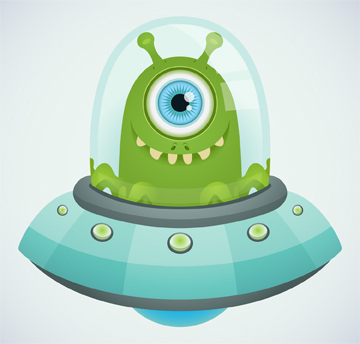 The UFO Challenge Show & Tell will be held on Saturday, June 6 from 9-10 a.m. Bring the UFO you are most proud of completing and join the fun as we draw the winners of five $100 gift certificates to Cortez Quilt Company. That's right . . . we're down to only one BERNINA 780 sewing/quilting/embroidery machine at the special clearance price. Come in this week for a demo. Be sure to ask us about 0% financing on this beauty! We're taking pre-orders on the new 7 series machines. Check out the 740, 770QE, and 790E here. We're making a minor change to our store credit policy. Once in a while we have the need to issue a credit to a customer (someone buys the wrong sewing machine needles and returns them unopened or we make an error at the register that we catch after the fact . . . things like that). In the past we've recorded store credits in what we call "the little box" that's kept under the counter. The problem is that customers sometimes forget they have a credit and it goes unused - sometimes for months. From now when we need to issue a store credit for returned merchandise we'll simply add the dollar amount to the back of your customer loyalty card and your credit will be included on the next loyalty certificate you receive in the mail. If you come into shop before you receive your next certificate and want to use your credit, no problem. We'll just mark it off your card and call it even. - All sales final on fabric, thread, patterns, books, and software. - Store credit or exchange may be given for defective merchandise. - Store credit given for paid classes if you cancel and give 48 hours notice (otherwise, no credit). - Refund or store credit (your choice) given for classes if we cancel due to lack of sign ups. Please let us know if you have any questions about our policies. Thanks! "My sewing room is out of control." "I need to organize my fabric." "I have so many scraps and I don't know what to with them." It's a fact of life . . . if you sew, you have scraps. How you choose to deal with all the little (or big) piles of leftover fabric is a personal decision. There is no one right or wrong way to achieve scrap control and, for some people no control at all if just fine. If you are thinking about investing some time in organizing your scraps, however, here are a few tips. 1. Decide on the smallest size you wish to save. For one person that might be anything larger than a 1" square and for another it might be a much larger piece. 2. Don't try to tackle your entire collection of scraps in one organizing session, especially if you have many baskets, boxes, and bins overflowing with fabric. Instead, set aside a few minutes each day or an hour or two each week and work on your project until the task is complete. 3. 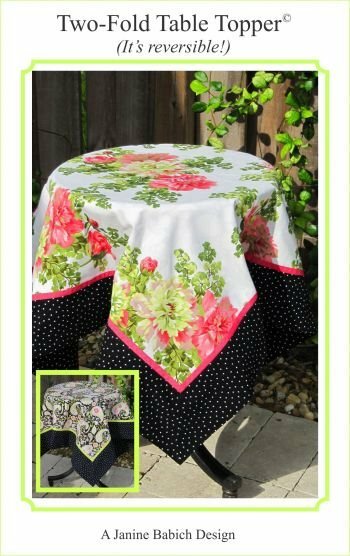 If you have larger pieces of fabric in your scrap bins, start by identifying those that can be made into fat quarters (18 " x 22"). Cut them to that size, put them in a container marked "FQs," and then go through your patterns and books to find "fat quarter friendly" projects. 3. Next, cut the rest of your fabric into sizes that you are most likely to use to make something. Examples include 2 1/2 inch squares, 5 inch squares, 10 inch squares, and 2 1/2 inch strips. Do this and you're essentially creating your own stash of mini-charms, charm packs, layer cakes, and jelly rolls. Again, look for pre-cut friendly patterns that might be a good match for your scrap collection. 4. Organize your cut up fabric by color and/or type and store them in ziplock bags or clear, stackable storage bins so that you can easily see what you have. That's it. You're organized and ready to find what you need the next time you're in the mood to sew and Cortez Quilt Company isn't open for your shopping pleasure! P. S. Check out the book shown above. 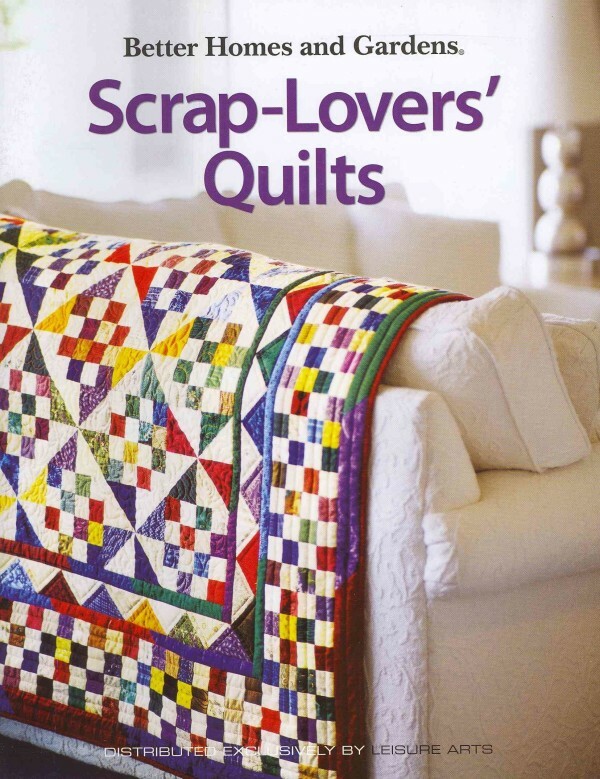 It includes great scrap quilt patterns and it's only $13.95. We keep it in stock.